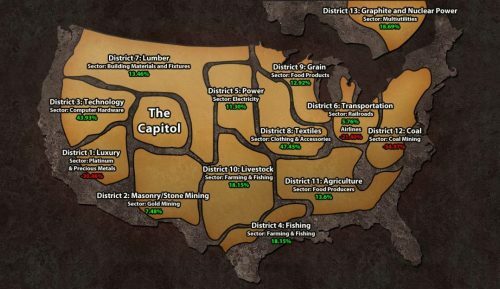 First, there isn’t an official map of Panem available. There are a lot of different fan made ones. Some better than others. This one feels the best as well as having the correct districts doing the correct work… It is needed so the below press release that The Capitol sent out to show the diversity of life in the districts. The Map does list the destroyed District 13 but travel is ill-advised due to the high levels of radiation that still permeates that district. Brothers and sisters of the Technology District, the Capitol Ministry of Information salutes your benevolent efforts to contribute to the technological world of our great nation. The highly intelligent minds of District 3 are behind some of Panem’s most advanced achievements, and for that, we thank you. We in the Capitol strive to create a secure, harmonious environment, and your infinite contributions enable us to make that goal a reality. Never forget how your superior deeds keep our wonderful country grounded. Never forget how your programming provides a link to Panem’s history. Never forget the significance your work has engineered. Allow this exemplary display of District heroism to boost your faith and trust in a system that wholly appreciates you; as the lovely Fibre Bissette can attest, the codes you write, the wires you unravel and the gadgets you invent all contribute to the well-being of your District, and in turn, the greater good of Panem. Stay connected; stay informed. To receive ongoing updates from the CMI, please join us with your information at TheCapitol.pn. The CMI: For the People of Panem. 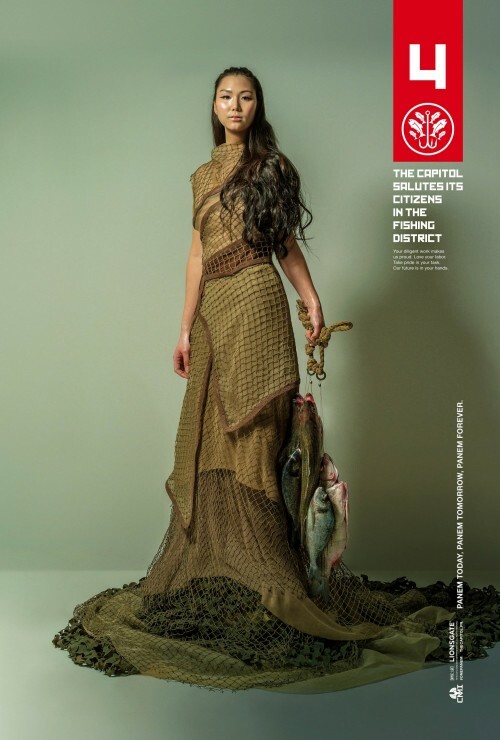 As the seasons change and the tides turn, the citizens of District 4 continue their endless dedication to feeding the beating heart of the Capitol. We salute you, the hard-working citizens of the Fishing District, and your invaluable contributions to society. Brought to you by the Capitol Ministry of Information, this commemorative display of the lovely Naida Dolan represents District 4 heroism at its finest! 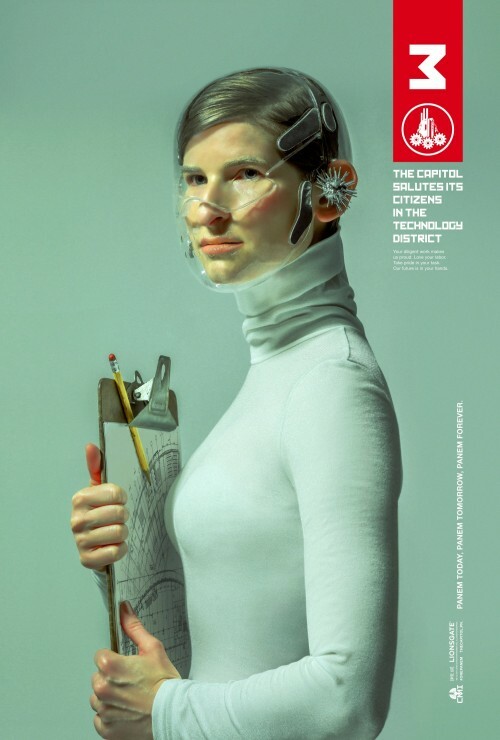 As you discover the inspiring pieces the Capitol Ministry of Information has set about your District, remember that we are One Panem. Stand by the Capitol and forge a bond that is unbreakable. To receive ongoing updates from the CMI, please join us with your information at TheCapitol.pn. The CMI: For the People of Panem. The Capitol honours District 6’s tenacious efforts to make outstanding strides in the world of transit. We praise the everyday heroes of the Transportation District and cherish a community that strives for excellence, progress and harmony! 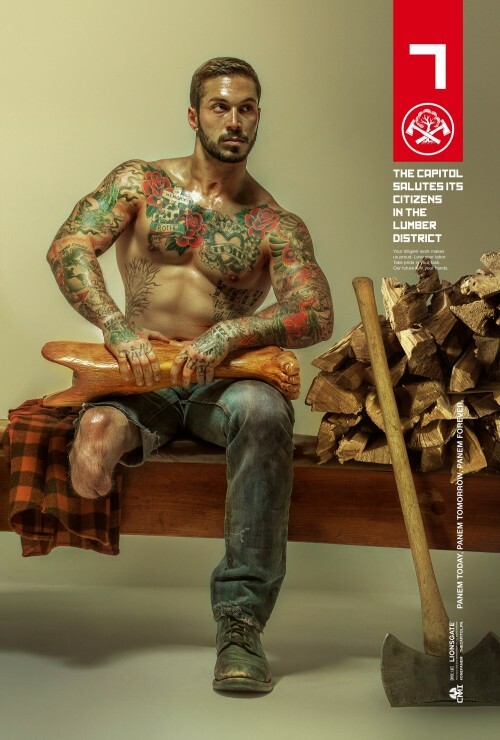 As you tend to the finest forests and provide your fellow brethren with the most beautiful and flawless lumber, remember that the Capitol treasures your dedication to society. 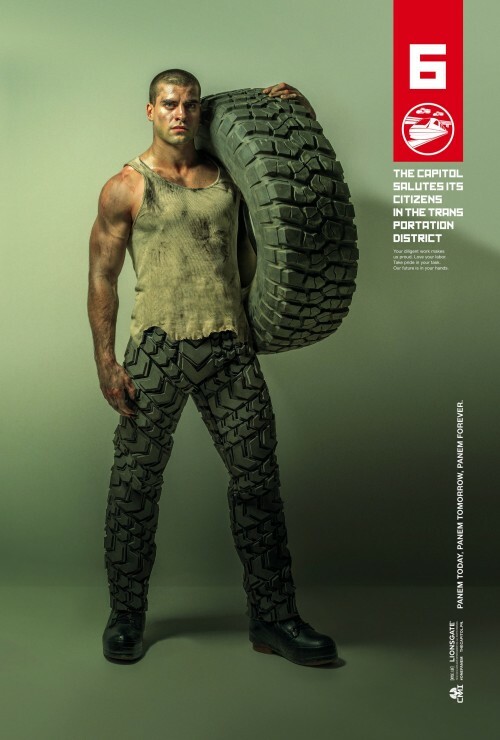 It is your duty as a citizen of Panem to protect the system we have worked tirelessly to conceive. Embrace the challenges of strenuous labour, and remember the instrumental role you play in the preservation of our country. We in the Capitol admire your strength and commend your loyalty. We must all stand as tall as the mighty oaks you fell, and work together to build and preserve a better future. To receive ongoing updates from the CMI, please join us with your information at TheCapitol.pn. The CMI: For the People of Panem. 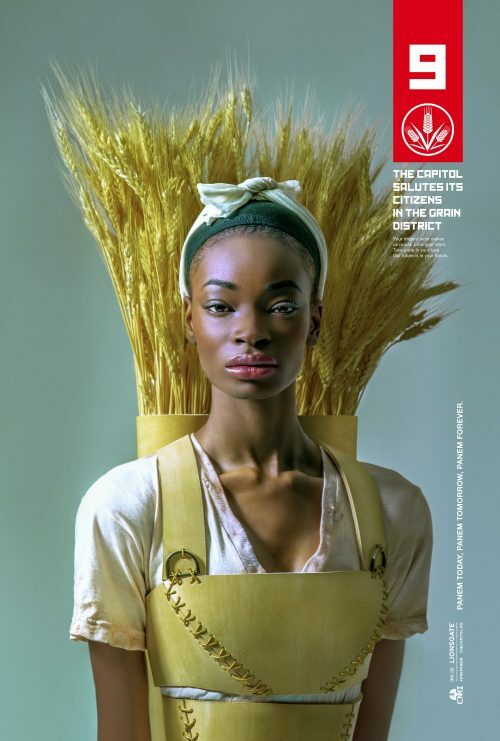 The Capitol gives high praise to the citizens of its Grain District! We have taken note of your sprightly efforts, and to honour the spirit of Panem’s bountiful “Bread Basket”, we hope you find continued inspiration in Triti Lancaster as your model of District 9 heroism. Take this loyalty and help us keep every seed in its rightful place. Help us plow through any obstacle that comes our way. Above all, help us nourish Panem in our quest for peace and unity. To receive ongoing updates from the Capitol Ministry of Information, please join us with your information at TheCapitol.pn. The CMI: For the People of Panem. The Capitol celebrates the spirit and camaraderie of the assiduous Livestock District. 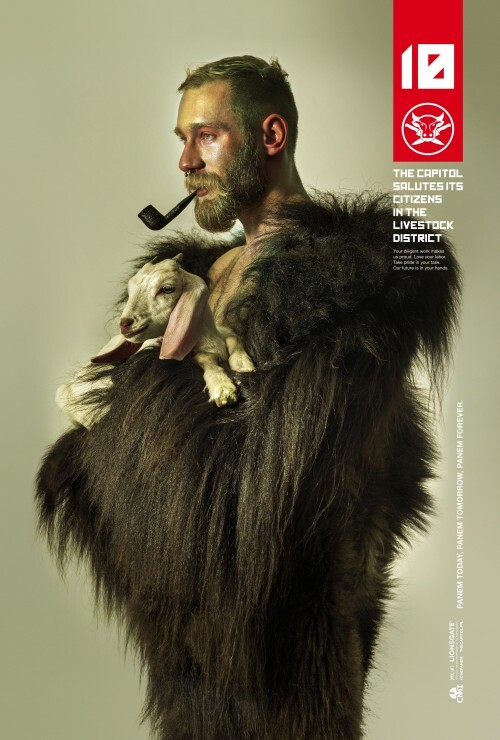 We honour the everyday heroes of District 10 as they breed the finest meat, shear the softest wool, and embrace the shining Capitol sun in their ongoing endeavours. The Capitol Ministry of Information asks you to look to the strapping Felix Stam in this model of diligence, and to remember the ardent efforts of your fellow men. We are forever grateful to the citizens who make countless contributions to society. 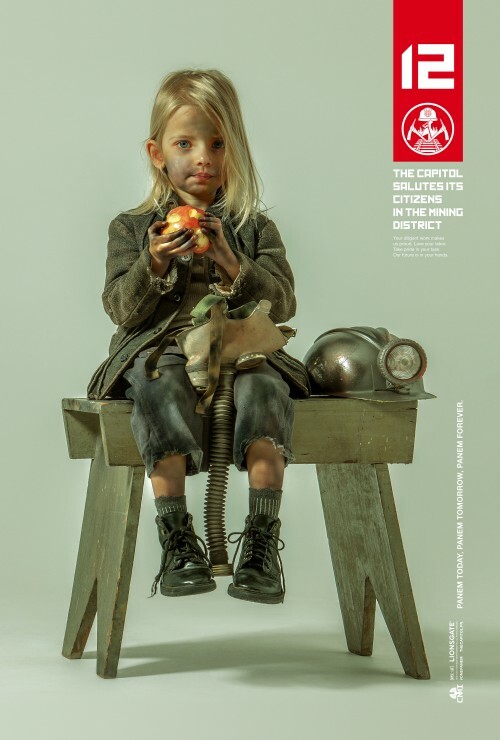 Join the Capitol in strengthening the bond between the Districts. To receive ongoing updates from the CMI, please join us with your information at TheCapitol.pn. The CMI: For the People of Panem. Now more than ever you must remember the importance of our system and the greater good it creates. Embrace the sweat on your brow and the sores on your fingers. Allow the soot to settle along your feet. You are the light that shines in the coal mines you venture. Take pride in your scars of labour, for they are labours of love for your country. Join the Capitol and stand with your tributes in support of the contract that binds us all as one. To receive ongoing updates from the CMI, please join us with your information at TheCapitol.pn. The CMI: For the People of Panem.